Welcome to the Publication Scheme for Leightons Opticians and Hearing Care as required by the Freedom of Information Act 2000. This Publication scheme is a complete guide to the information routinely made available to the public by the Leightons Group. It will be reviewed at regular intervals and we will monitor its effectiveness. The publications are free unless otherwise indicated. Where information is provided at cost, the charges will be calculated as set out in Class 7 below. How the information is made available and feedback? The aim of the Freedom of Information Act 2000 is to provide members of the public with access to information held by public authorities. You are entitled to certain information in relation to NHS services we provide under the Freedom of Information Act 2000 and the NHS Openness Code 1995. Under the General Data Protection Regulations 2018, you are also entitled to access your clinical records or any other personal information held about you. Please contact your local branch of Leightons Opticians and Hearing Care where your records are held to do this. 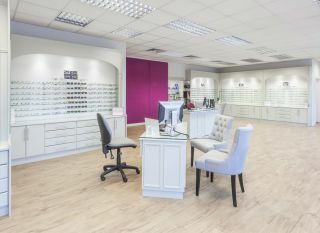 All our practices provide eye examinations, contact lens appointments, hearing assessments, prescription glasses, sunglasses, contact lenses and optical accessories. Appointments for eye examinations can be booked by telephone, online, or by visiting one of our practices. To find the address or phone number of your local practice, please go to http://www.leightons.co.uk/branch-finder/ Opening times can vary between locations, so please ring or view to confirm. 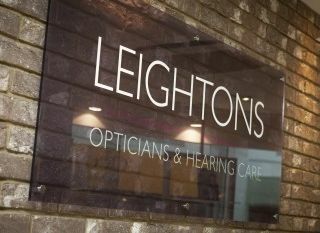 Leightons Opticians and Hearing Care currently receive a fee for each NHS sight test performed. Please refer to the websites shown below for up to date information on this subject. Your local Leightons Opticians and Hearing Care branch can inform you of the current cost of an eye examination for those who do not qualify for NHS assistance. If you would like further information about the value of the NHS vouchers accepted by your Leightons Opticians and Hearing Care branch and NHS charges please visit: https://www.nhs.uk/NHSEngland/Healthcosts/Pages/Eyecarecosts.aspx. These charges and voucher values are regularly reviewed by the NHS. Information in relation to your eye test, the NHS, family eye care and safe driving can be found on our website at www.leightons.co.uk. A range of patient leaflets in relation to contact lenses, care for glasses, general contact lenses information and optical healthcare are available from your local Leightons Opticians and Hearing Care branch. A copy of our complaints procedure can be obtained from your local Leightons Opticians and Hearing Care branch. If you have a complaint we recommend that you first contact the branch manager. Any changes to the publication scheme and any proposed changes or additions to publications already available will be published in this Class. Information accessed via www.leightons.co.uk or provided by e-mail is free of charge except for charges made by your internet service provider. Requests for single printed copies are free of charge. Requests for multiple printed copies will attract a charge to cover costs such as photocopying and postage.